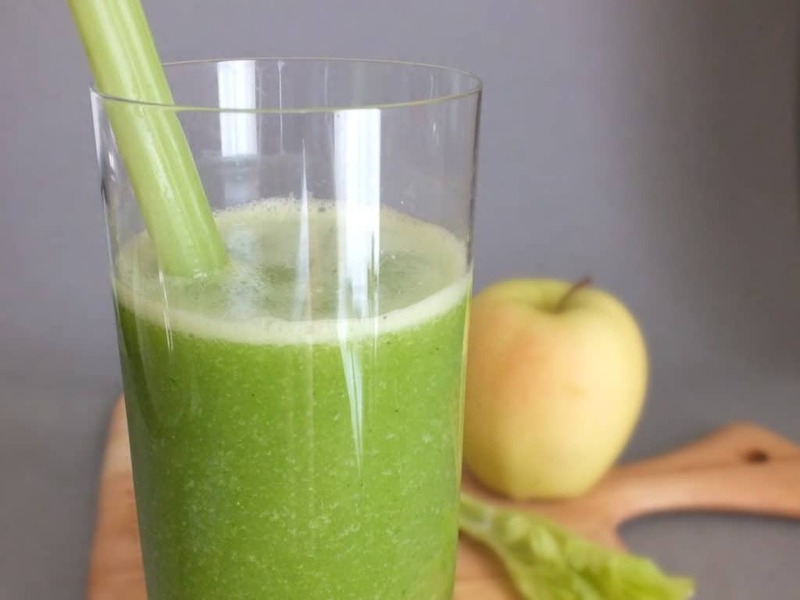 Refreshing, crisp, and reenergizing – this juice is a great way to start a busy weekend. 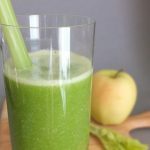 Golden Delicious apples have a different flavor than Fujis [what we usually use for smoothies & juices]. They’re slightly sweeter but still have a hint of tartness and their flesh is slightly softer; a delicious compliment to the other ingredients. This juice detoxifies, boosts antioxidant levels, packs plenty of Vitamin C, and contains fiber to fill you up — oh, and it tastes great, too! 1. Add all ingredients to a high-speed blender and blend until smooth. Enjoy!